Thank you for making my birthday a memorable one. I would cherish this day for the rest of my life. Thanks a lot for your wishes. You made me happier with your presence today. Your greeting was very kind. Thank you so much. Thank you for reminding me how loved I really am. Your friendship has always been a unique gift for me. It was great to have you here with me today. Many thanks for all your wonderful wishes, your glowing smiles and of course your remarkable presents. Many thanks for the lovely gift of yours; It’s something I will certainly use. Thanks again. I would like to thank not only for remembering my Birthday, but for sending me a gift also. It was really nice to have you here with me. Thank you. Thank you for being part of this wonderful atmosphere with all the authentic wishes and cheerful company of yours. I am greatly touched from all your wonderful wishes and remarkable gifts. Thank you. That was a lovely gift. It gave all my spirits a lift. Certainly a wonderful choice. Thanks a lot. From the bottom of my heart I would really like to thank you for being here today, making my birthday even more special with all your splendid wishes. It had a lot of fun to celebrate my Birthday with you. Thanks. I am truly thankful for your being here sharing this special day with me. It was a great pleasure to see you on my Birthday. Thanks for all the wonderful wishes you filled me with. No matter how old we get, we will always be full of joy and happiness as soon as we have the support of our friends. Thank you for reminding me once again that no man is an island. Thank u for being present at my birthday party with your wishes. Your wishes are truly memorable. You gave a special gift in the form of wishes and I really liked it. They will be there in my heart forever along with you. The wishes are unique. Thank u for making my day. Thank u for everything you did to make my birthday a memorable one for me. Thanks lots for the wishes. It was a pleasant surprise that you not only remembered my birthday but also sent me wishes on the day. The day was more special than I imagined with the wishes and the gifts you sent me. I enjoyed a lot celebrating it with you. You touched my heart with the wishes and gifts; this birthday will be truly memorable with the wishes that you have sent me. Thanks a ton for the effort. I really appreciate all your wonderful Birthday wishes. You made this special day of mine even greater than I imagined. Thank you for giving the best of yourself for making me flood in with joy, glee and all the energy I needed for to carry on the unknown game called life. 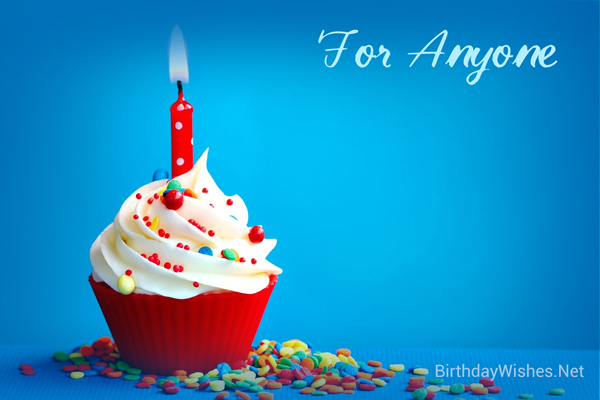 My birthday would be incomplete without your wishes and gifts. Finally you made my day special and memorable. The day was complete with your wishes. Those were the best wishes ever and the love is seen in the wishes you sent me. That is so sweet of you and May god bless you with a happy life ahead. I will keep your wishes close to my heart. Thanks a ton for the wishes and god bless you. Thanks a lot for your wishes everyone. You made me feel great on my birthday and your presence made it so special. The wishes you sent me made it even more special. It was really wonderful and pleasure to receive wishes from you on my birthday. It added joy at my birthday party today. I had a memorable birthday with your wishes in it. Thank u so much for the wishes! !